It used to be that the only way for most actors to find work or even representation was to provide an Actor Reel. But it's difficult to put an Actor Reel together if you're new to the business or don't have enough material to put in it. That's where the Casting Slate comes in. A Casting Slate is a way for the agent or casting director to get an idea of who the actor is, his/her comfort level in front of a camera, physicality, as well as personality. 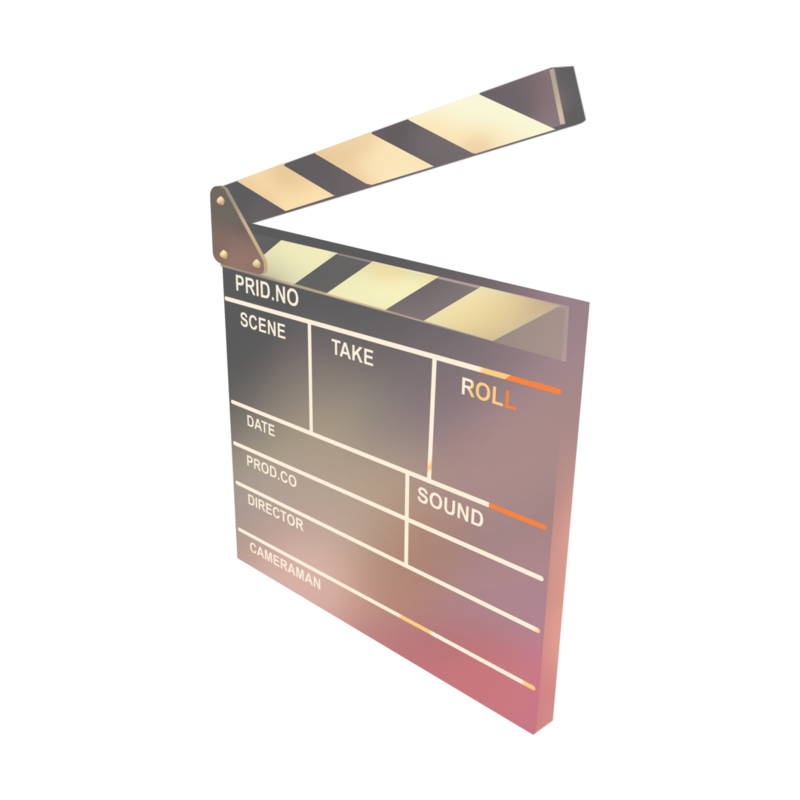 Most other slate-makers use sub-standard equipment, poor lighting, and pay little attention to audio by utilizing improper microphone placement or the camera's built-in microphone leading to poor audio and overall production quality. We have assembled the right blend of audio and video equipment as well as editing software to create eye-popping Casting Slates that rival other larger, more expensive operations in terms of production value. You don't have to be an actor to shoot a Casting Slate. Video resumés are great for job-seekers. Sure, you could shoot it at home with your webcam. But then it would look like you shot it at home with your webcam. We'll give you a professional look and sound that will make your video resumé stand out. The Basic Slate is you against a digital backdrop of your choice. Large, animated text will display your name at the beginning and end of the slate. At only $65, this service rivals the production quality of larger slate-makers that charge over three times that amount! Always answer in a complete sentence - the viewer will not hear the interview questions. You may want to prepare a short song, monologue, or anything you want to show off about yourself. Have a good time, relax and above all - SMILE! What do you love about acting? What's your favorite movie, book, restaurant, etc.? Tell us a funny story about yourself. What are you really bad at? Show us your wild side! What would be your ultimate acting role? Tell us about your best and/or worst acting experiences. Know someone who needs a demo, recording session, or casting slate? Send them an eGift card! Choose from 6 festive designs and include a personal message. You can send it immediately to their email or on a future date and they're available in any denomination starting at $25 and up. For the Casting Slate, this will be a short (2-3 minute) introduction of yourself, so we want to keep anecdotes rather short. See the "Interview Questions" section to the left for ideas. For the Basic Slate, we'll be shooting against a pristine-white backdrop so wear colors that might stand out. (Stay away from colors you believe might wash you out.) Blues or dark colors usually work well. For the Premiere Slate, we'll be using a chroma-green backdrop. It is very important that you not wear anything green. Doing so will make that part of your body disappear on video. What is your editing policy? In order to provide a consistently professional yet cost-effective service, our "slate format" will remain rather static. The fonts will not change. We can also make cuts/additions as needed. Just keep in mind that we need to keep the entire slate in the 2-3 minute range.